Cold weather gotcha down? No worries! We've go you covered. Today on the blog we're highlighting 5 ultra cool desk collections designed to help you take your office remodel to the next level. These hot lines from Global, Mayline, and Cherryman offer trend setting design characteristics that will have you looking like a makeover superstar without breaking the space planning headaches. First up, the ultra glamorous Lufton line from the team at Global Total Office. With it's combination of modern and traditional characteristics, Lufton is ready, willing, and able to help you craft elite interiors that earn daily compliments. Even at first glance, the Global Total Office executive desk configurations from the Lufton line will draw you in with their unique textures and finish blending. 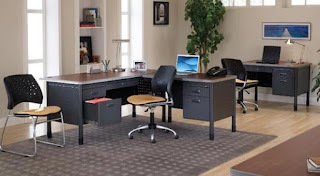 Lufton desks are perfect for upscale office makeover projects where first impressions count. If you want the best and won't settle for less, this popular collection from Global is the only way to go this winter. When Winter comes around, we know traditional furniture collections are going to be hot! That being said, line offers a more classic and elegant vibe than Sorrento from Mayline. 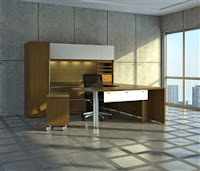 This collection of wood veneer executive office desks has become a favorite of interior design teams, industry professionals, and shoppers alike. Top of the line Mayline Sorrento executive furniture sets are available in a choice of two finish options, including a bourbon cherry variation that must be seen in person to be fully appreciate. The Verde collection from Cherryman Industries gives going modern a whole new meaning. 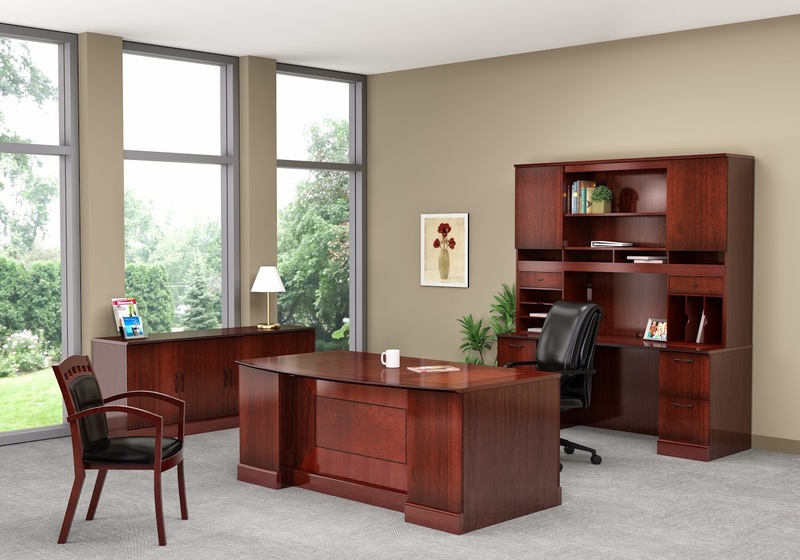 If you're looking to give you executive interior a personality change, the office desks from the Cherryman Verde collection are ready for the task. 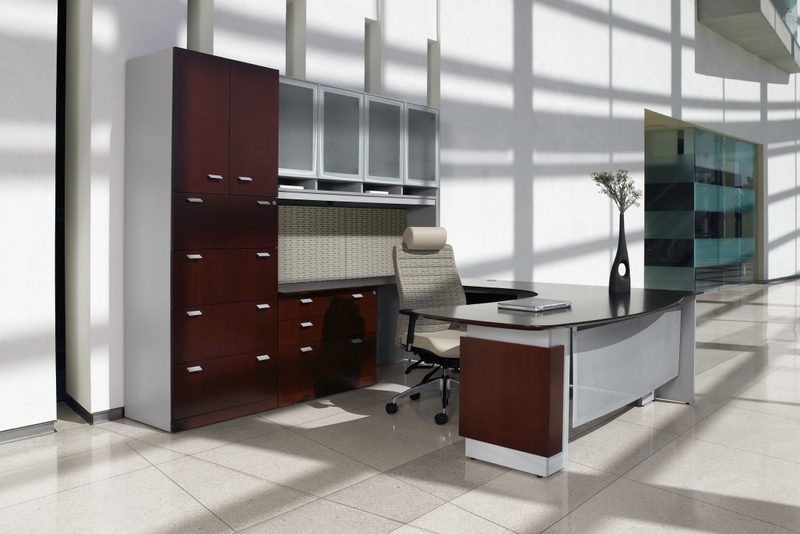 Verde workstations are available in a choice of latte and espresso laminate finish options that perfectly blend with white and silver accents. Brands like Offices To Go never fail to impress. Take one look at their Margate collection and you'll quickly see what we mean. With designer finish options, Margate is a breath of fresh air in a world filled with overly used cherry and maple tones. 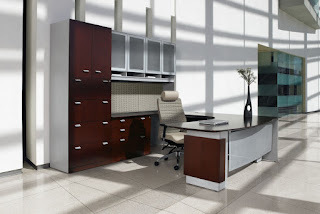 Margate executive desk configurations from Offices To Go provide exceptional value and they also ship quick. A nice buying point for any shopper up against tight remodeling deadlines! We've saved a team favorite for last. Here at the OFD blog we absolutely love the Mesa collection. These heavy duty metal desks from OFM are built to last. Mesa components are sold individually, or as part of L shaped layouts for additional operating space. The industrial desks from Mesa are shipped within two days of order in cherry, maple, and oak laminate tones that look great with their gray steel frames. Mesa stations provide exceptional quality and trend setting appeal that's sure to dominate makeover products this winter.